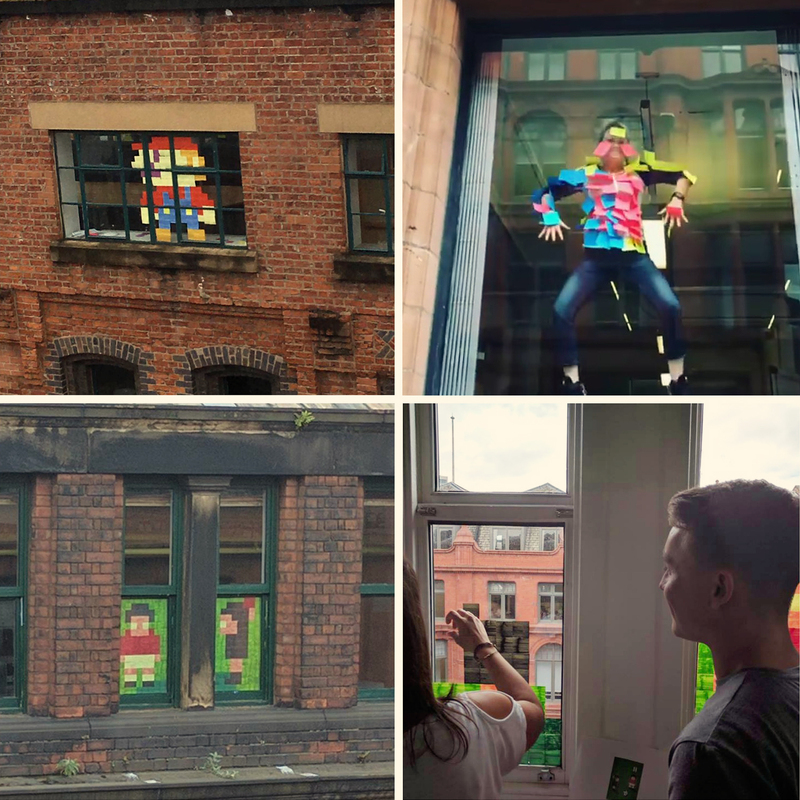 A whole bunch of us Northern Quarter creative and digital agencies are competing to ‘out do’ each other by displaying elaborate designs and messages made up of Post-its in our office windows. 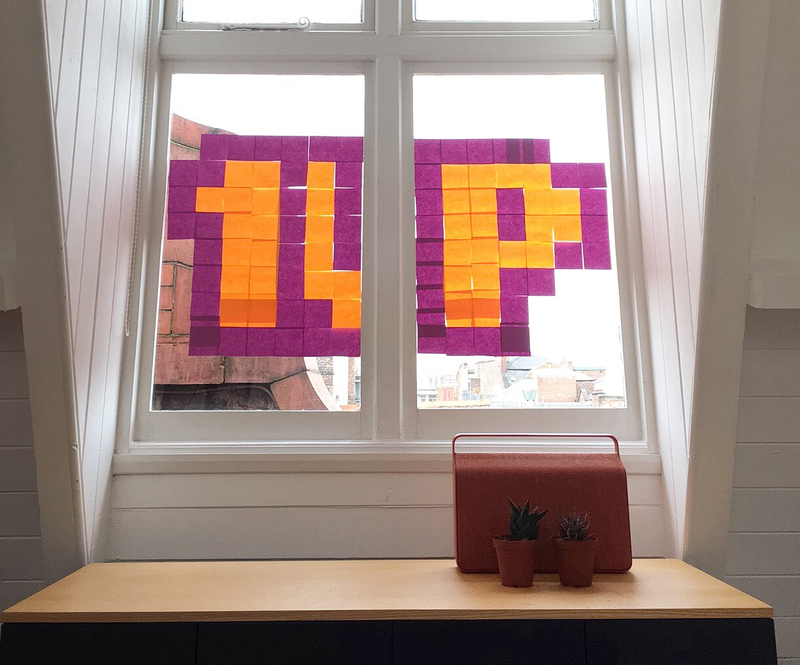 That’s right: a Post-it note war’s broken out. 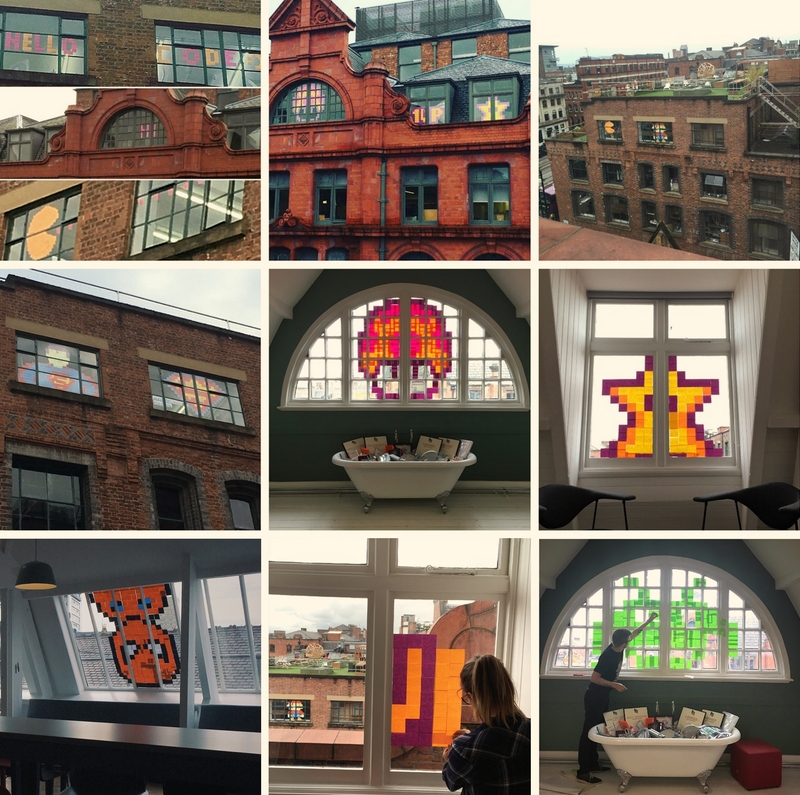 It all started when Reason Digital welcomed us to our new studio at Sevendale House with some #postitArt. We replied to Reason’s “hello” with our own “hi” design, and then Reason upped the ante with a Post-it PacMan. Rising to the challenge, our response was an 8-bit style green Space Invader. To follow the fun, search for the hashtag #leverstreetpostit or check out our Twitter, Facebook and Instagram profiles.